Submitted by dave on May 4, 2007 - 2:50pm. 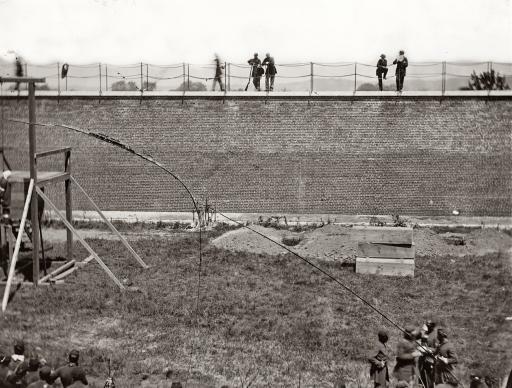 Bodies of the four condemned prisoners at Fort McNair, Washington, following their execution on July 7, 1865. 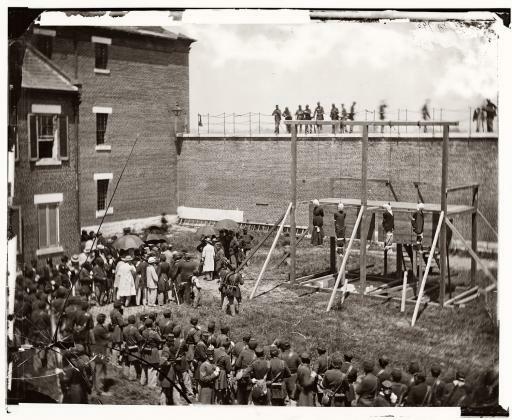 From left, Mary Surratt, Lewis Powell, David Herold and George Atzerodt. Photo by Alexander Gardner. View full size. Submitted by dave on May 4, 2007 - 2:47pm. Coffins and open graves next to gallows, waiting to receive bodies of the four conspirators at Fort McNair, Washington. George A. Atzerodt can be seen hanging from rope at left. July 7, 1865. Photo by Alexander Gardner. View full size. Submitted by ken on May 4, 2007 - 9:11am. Mr. Elias Blun, of Hillsboro, who arrived here last sunday furnishes the REPUBLICAN the particulars of the fight at Gabilan canon, between Lake Valley and Georgetown, a brief account of which was given in last Saturday's REPUBLICAN. It appears the Indians rode right into Hillsboro and from a hill overlooking the town fired into the houses. Lt. G.W. 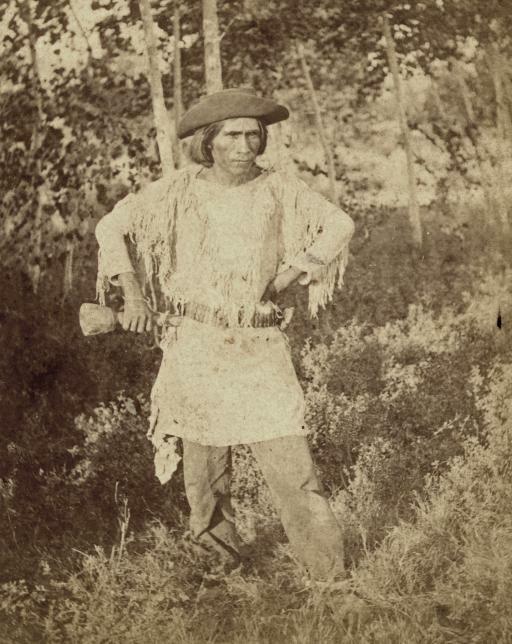 Smith, with twenty troops and thirty-five merchants and miners of Hillsboro and Lake Valley started in pursuit of the Indians and when passing through Gabilan canon, nine miles from Lake Valley, they were fired upon by the Indians concealed in the rocks. They were completely surprised and Lt. Smith and Mr. Daly and three soldiers were killed and four soldiers wounded. Submitted by ken on May 3, 2007 - 9:42pm. Ai'-at-tau-a, (beautiful man,) Chief of the Mo-a-pa'-ri-ats. Photographed by John K. Hillers, c1874. View full image.